Tag line: "Fear is all in the mind...?" Line from the movie: "The abused becomes the abuser"
I first saw the 2010 psychological thriller Psych 9 a few years ago, and to be honest, I wasn’t a fan of it. Back then, I felt it was far too disjointed, but now that some time had passed, I figured I’d give the film another look. Perhaps I was a bit too hard on it. Alas, I was not; Psych 9 is just as disappointing the second time around as it was the first. 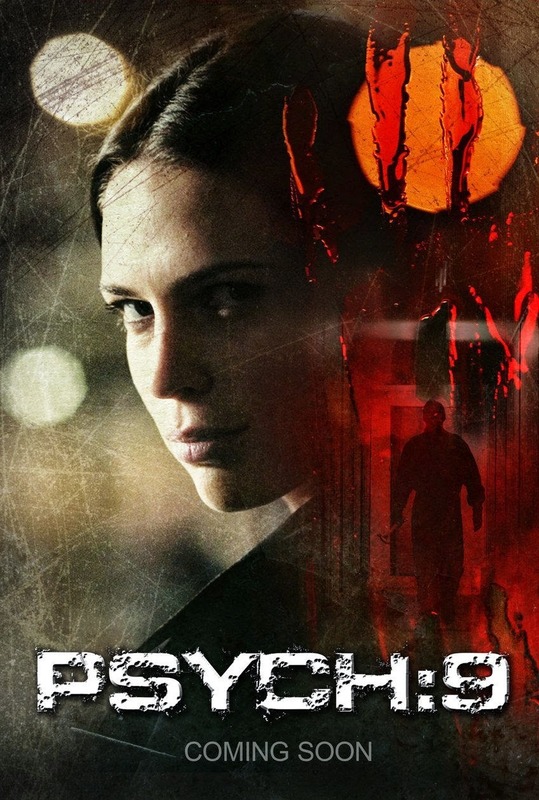 Roslyn (Sara Foster), a young woman with a very turbulent past, takes a night job at a recently abandoned hospital, helping to organize their records. Though she’s mostly on her own, Roslyn does develop a professional relationship with Dr. Clement (Cary Elwes), a psychiatrist who also spends his nights working at the hospital. Things take a disturbing turn, however, when Roslyn begins to experience strange occurrences, which she believes might be connected to a string of murders recently committed in the area, the work of a serial killer known only as the Nighthawk. But are these experiences real, or is Roslyn’s already troubled mind simply playing tricks on her? The main issue I had with Psych 9 was its structure. Jumping back and forth between actual reality and Roslyn’s somewhat warped perception of it, and doing so at an often rapid pace, the movie only managed to confuse me (for instance, Psych 9 has no concept of the passage of time: one minute, Roslyn is at work, thumbing through files. The next, she’s eating dinner with her husband Cole, played by Gabriel Mann. Thirty seconds later, it’s the following day, and she’s leaving the hospital, having already finished her next shift!). At one point, the film hints at a traumatic event from Roslyn’s past, as if to explain why she (and the viewer) are lost is a sea of incomprehensible images. While this does help us understand Roslyn’s state of mind, it fails to make the movie any more comprehensible. To top it off, Psych 9 has a positively horrible ending, a pathetic pay-off that does absolutely nothing to help decipher what we’ve seen. There were elements of Psych 9 that I did enjoy; the hospital setting was effectively creepy, and one particular jump scare (involving a TV monitor) actually made me jump. Unfortunately, it wasn’t enough to save a movie that, in the end, proved more frustrating than entertaining.